Is the Pizza at the New Di Fara As Good As the Iconic Original?A rigorous taste test. 10 New Pizza Restaurants to Try This FallThe latest from the Luzzo’s, Di Fara, Joe & Pat’s, and more. Di Fara Reports Are Di-sgustingThey’ll survive this. DiFara to Spend the Day in ManhattanThe famed pizzeria will serve its pies as part of the NYC Food Film Festival. Carnegie Deli Sues for Survival; Di Fara Gets an UpgradeWill the Carnegie Deli have to pull a 2nd Avenue Deli and move? Sietsema Calls Brooklyn Bashers Dim-wittedIn defense of the borough everyone suddenly loves to hate. LaFrieda Arrives in La Guardia While Di Fara Jets to VegasIs the fifteen-ounce Gordito burger too much of a good thing? Shake Shack Gets a C Line, and a C-Worthy Health InspectionPlus: Did you know dive bars are dirty? What to Expect From Di Fara, LaFrieda, White, Carmellini, and More at La GuardiaJason Denton of ‘ino is also involved and looking for another spot in Williamsburg. Di Fara Sells T-ShirtsYes, they come in XXXL. America’s Best Pizzas, Per PlayboyThe naked-lady mag picks its favorite pies nationwide. 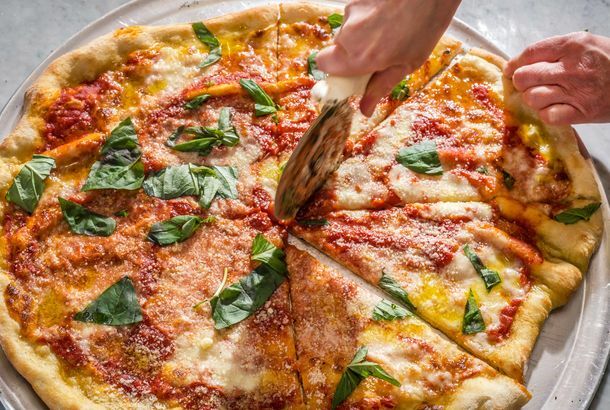 Travel and Leisure Names Eleven Best Pizzas in the U.S.An eleven-best list of pizzas that spans the whole nation? It may not be definitive, but here it is. Women Picky About First-Date Restaurants; Food-Safety Bill PassesPlus: FDA food-safety bill passed, and Michael Pollan on Julia Child, all in our morning news roundup. Di Fara Is Temporarily Down, Lucali May Be Moving On UpIn the world of pizza greatness, a temporary closure and a possible expansion. 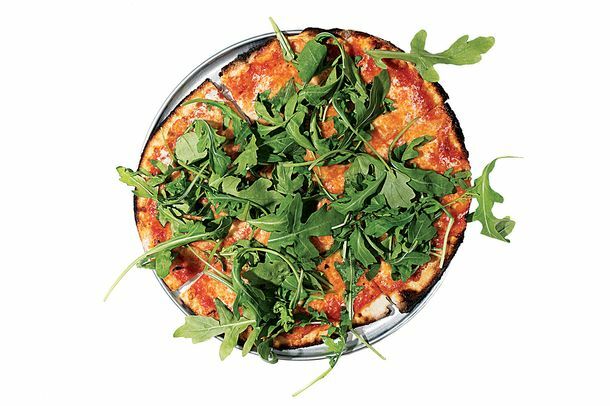 Why Alan Richman Dissed Di FaraPlus more outtakes from the world of best pizzeria lists. McDonald’s to Explore Cage-Free Eggs; Giada and Rachael Are Not FeudingPlus: Another food recall and more, all in our morning news roundup. More Best of New York!Your chance to ask our editors what they were thinking. Plus, happy-hour specials! Di Fara Reopening NOW?Di Fara was to reopen at noon today. Di Fara Down!A mysterious medical emergency has left the pizza palace temporarily closed. Gourmet Long Island Iced Teas; Sarah Palin As LocavorePlus Ferran Adrià at Katz’s and New York’s bravest in a cook-off. Zagat 2009: Per Se, Ko, Asiate, USC Emerge VictoriousLess New Yorkers are dining out, but those still eating have spoken via the annual Zagat guide. The $4 Di Fara Slice: We Break It Down Dom De Marco raised the price of a Di Fara’s slice to $4, and Chowhounders are aghast, reports Slice’s Adam Kuban. But do the accusations of making a quick buck lobbed against the Saint of Avenue J have any merit? We did a little research into the cost of ingredients at Di Fara and confirmed our suspicion that De Marco doesn’t make much money.